Many paper making friends are puzzled by the heavy impurities in the pulp, which can directly influence the following equipment screen effect and the paper’s quality. How to avoid these questions? And maximum protect the next equipment then prolong it’s service life? How To Remove Heavy Impurities In Paper Pulp? 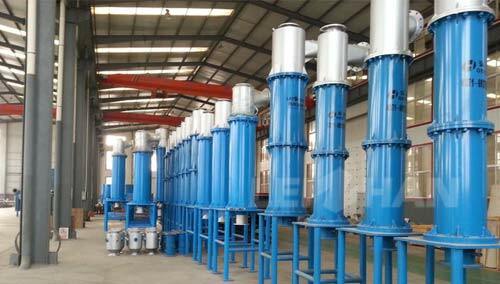 Leizhan manufacture two kinds of heavy impurities cleaning machine, which include High Density Cleaner and Low Density Cleaner. The former one can effectively remove heavy impurities like stapples, stones, glasses, etc, and latter one is in charge of remove gravel, scrap iron, dust and large ink particles, include styrofoam, etc. The largest advantage of these two heavy impurities cleaning machine is remove impurities but protect pulp and almost don’t exist any pulp in the discharged impurities, if you have any need, welcome to consult us: leizhanchina@gmail.com.